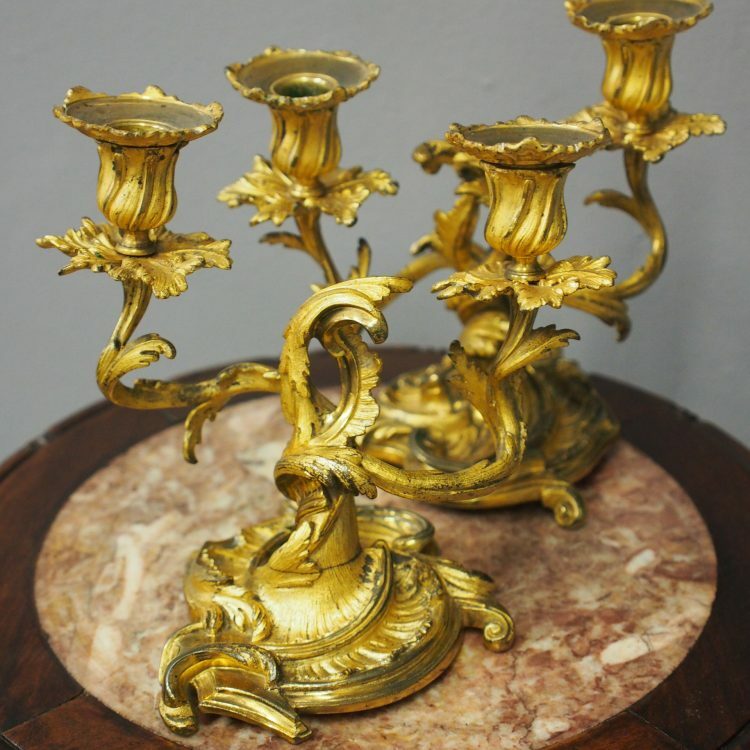 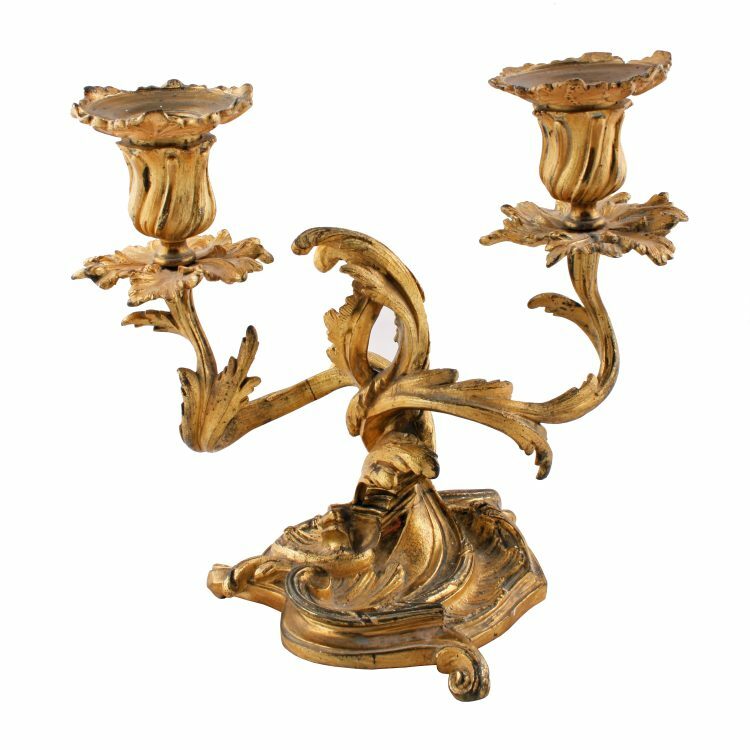 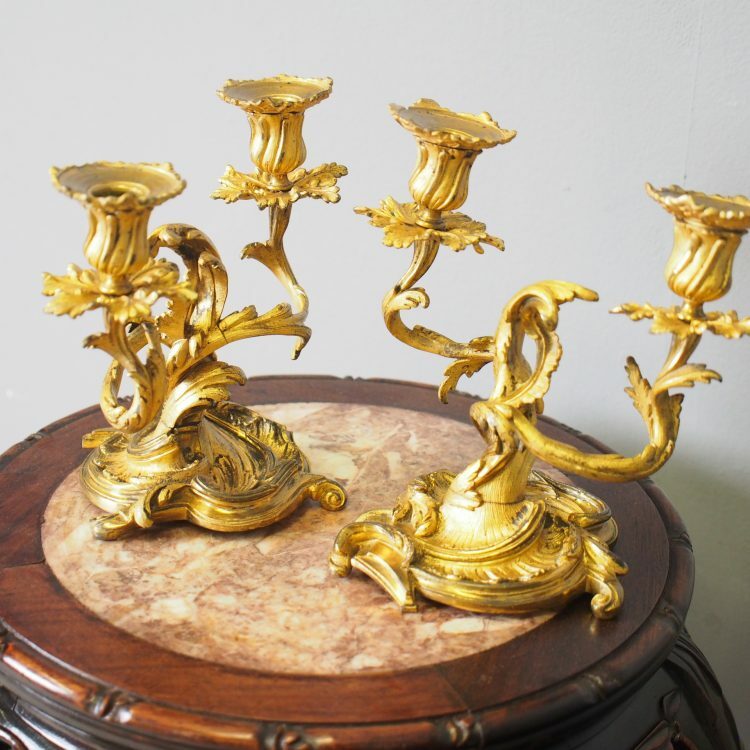 Circa 1880, pair of cast brass and gilded candelabra. 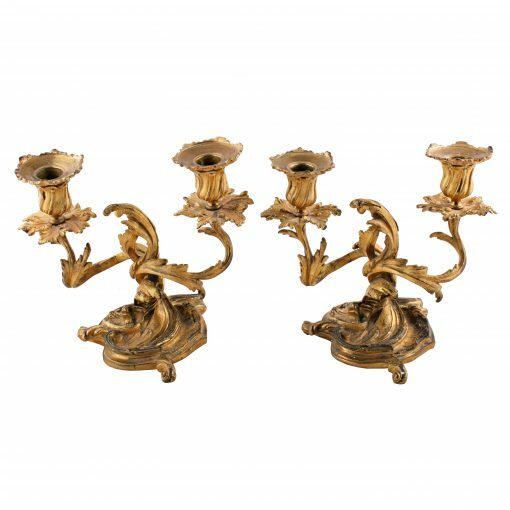 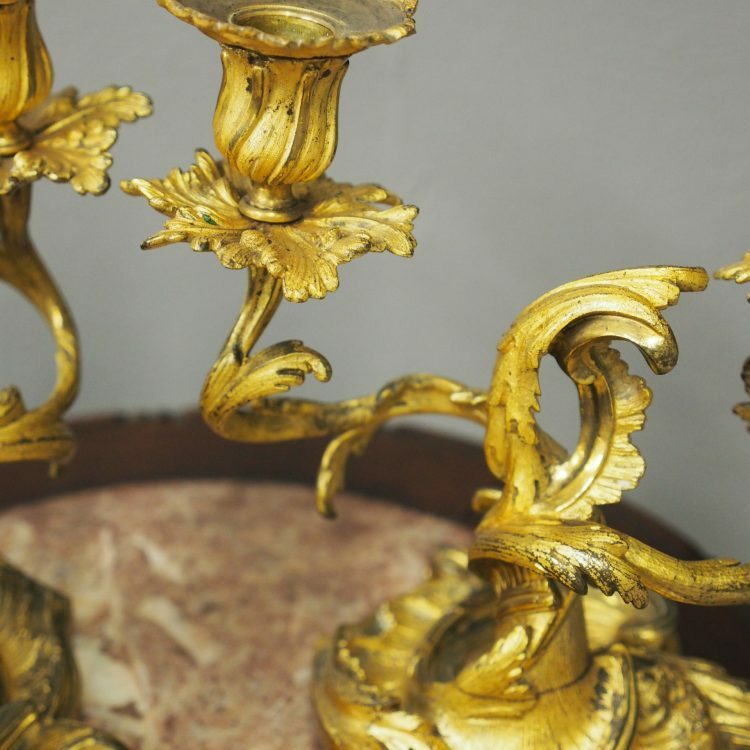 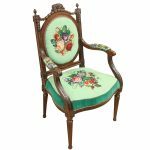 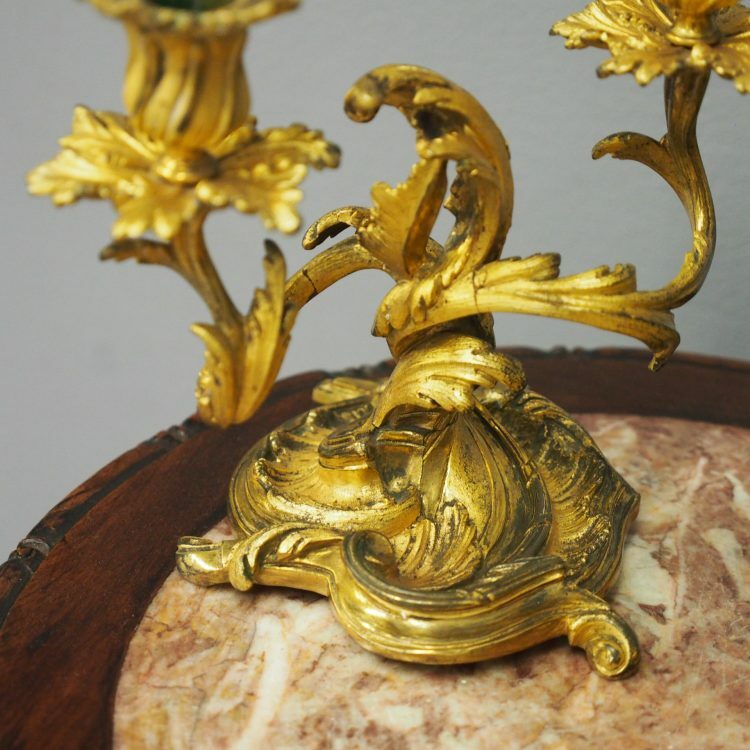 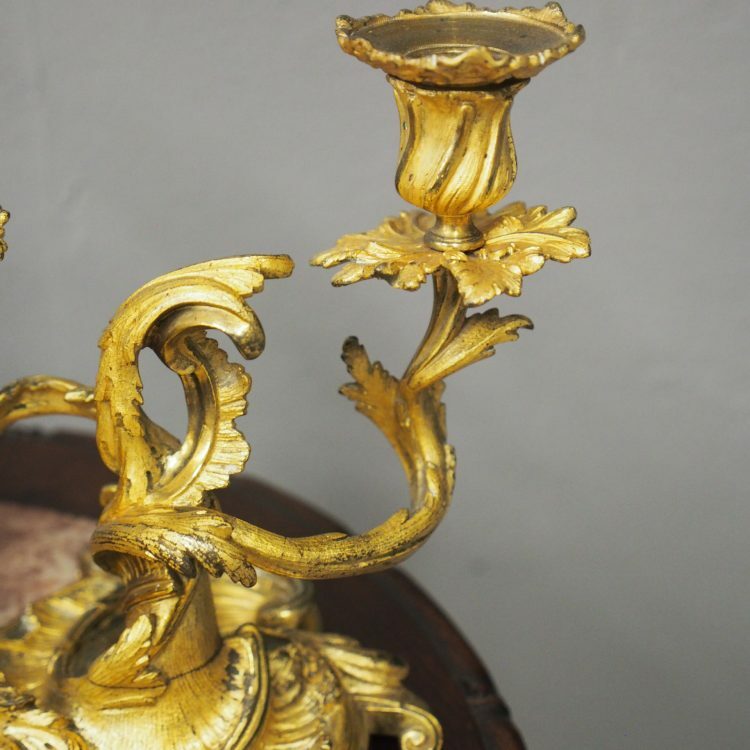 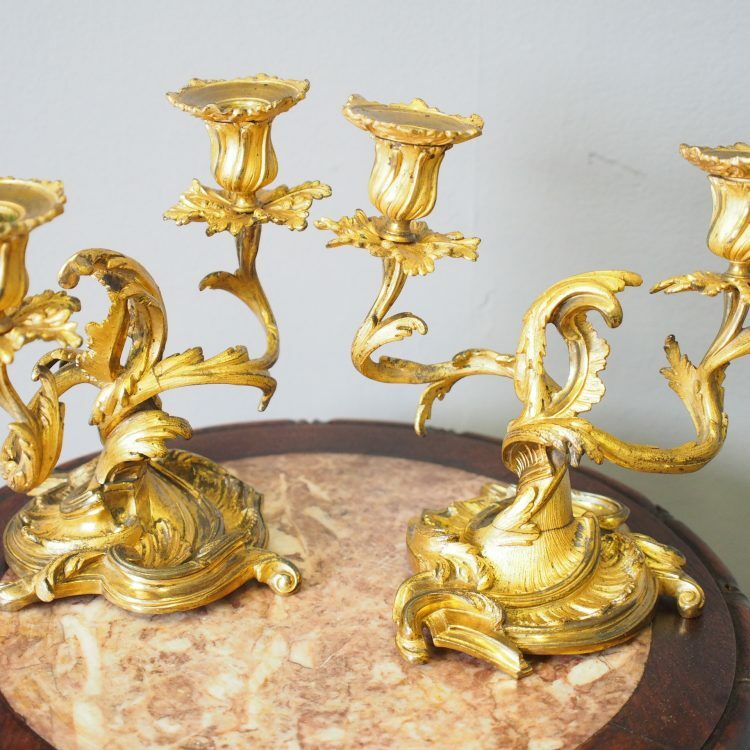 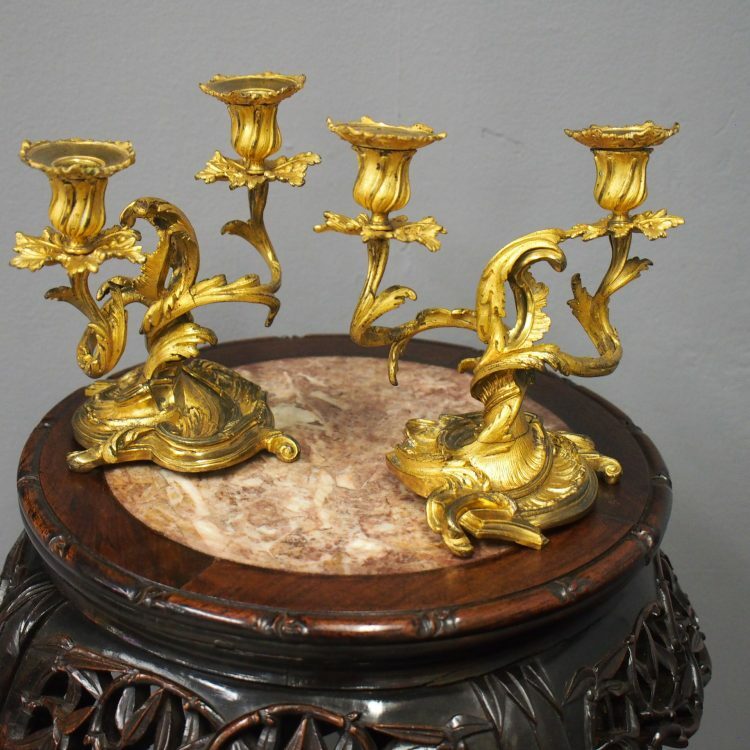 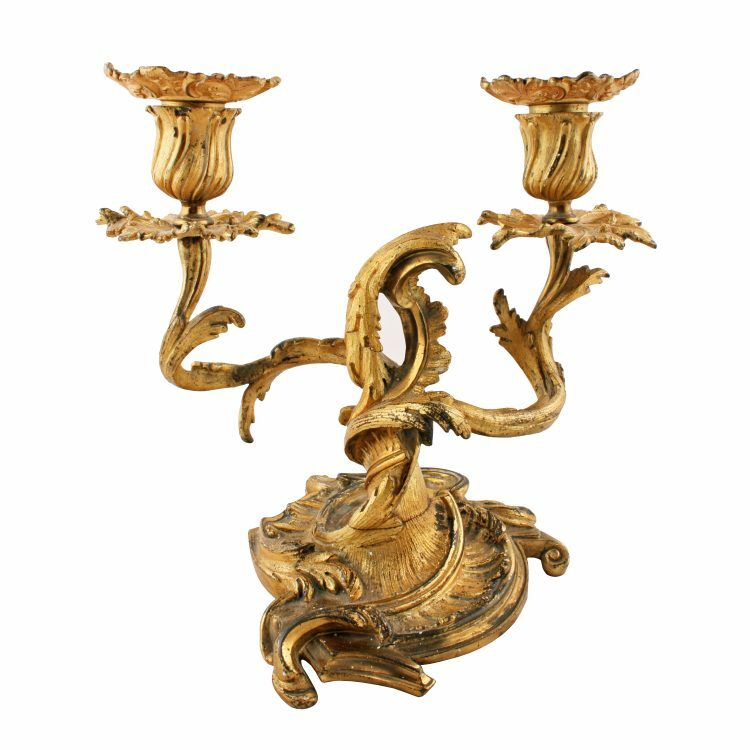 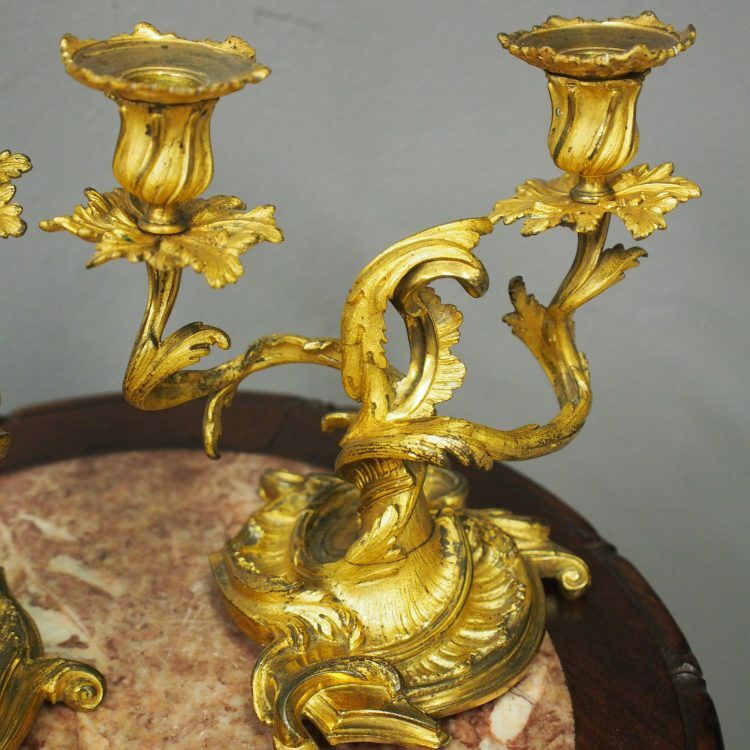 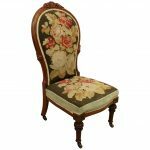 In Louis XVI style, each containing 2 candle sconces in fluted cups, and the uprights are in the form of branches. 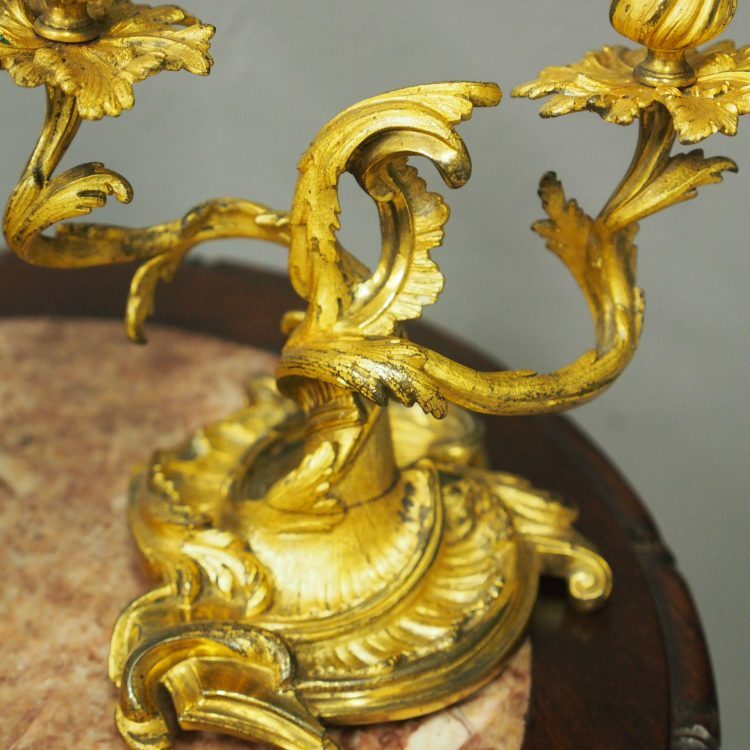 The base finishes on scrolling, squat feet.